Do you want your students to investigate some of Earth's Habitats? Do you want activities, instructions and resources to get them engaged with learning about the habitat characteristics, plant, and animal life? Would you like a quick and easy way to assess their understanding while giving them OPTIONS and tools to present in ways that are in sync with their presentation style? -------------> Then this product is for you!! 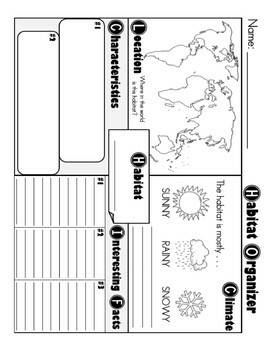 Use our rubric to assess their Habitat Poster Project! 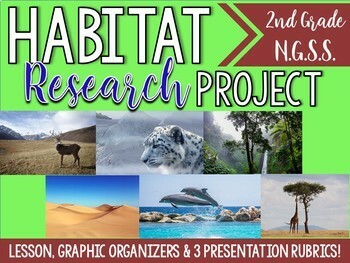 Want the whole guide to conducting a habitat research project in the primary grades? In the full project product, you'll get step-by-step instructions for guiding students through independent research & writing. Students also have an option to present a diorama, Powerpoint (Student Template Included!!) and a poster presentation. 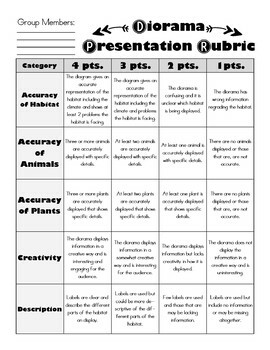 Rubrics are included for all three presentation types!